In a continuing search for deeper point guard depth, the New York Knicks conducted a workout with free-agent guard Bobby Brown in Las Vegas on Tuesday, league sources told Yahoo! Sports. Brown, 28, had a breakout season in the Euroleague and has been discussing a return to the NBA with several teams this summer. The Knicks are considering Brown with one of their remaining veteran minimum slots, sources said. The Knicks need a third point guard to play behind Raymond Felton and Pablo Prigioni. 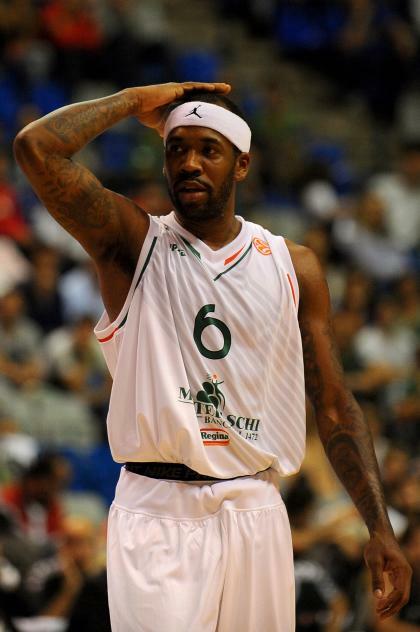 Brown averaged 18.8 points and 5.3 assists the past season for Siena of Italy. His 41 points in January in a dramatic comeback victory over talented Fenerbahce of Turkey was the highest-scoring Euroleague performance in a decade. Brown played limited roles for four NBA teams – Sacramento, Minnesota, New Orleans and the Los Angeles Clippers – beginning in 2008 before fully growing his game professionally in Europe over the past two years.